[S803] Darrin Lettinga, Lettinga, Darrin William, (Email). [S543] Find A Grave (www.findagrave.com), Memorial# 29781699 (Reliability: 3). [S500] 1860 U.S. Census (Reliability: 3). Asel T. Sackett, (M) , age 11, "
Anna M. Sackett, age 8, "
[S279] New York, State Census, 1865, (FamilySearch.org) (Reliability: 3). 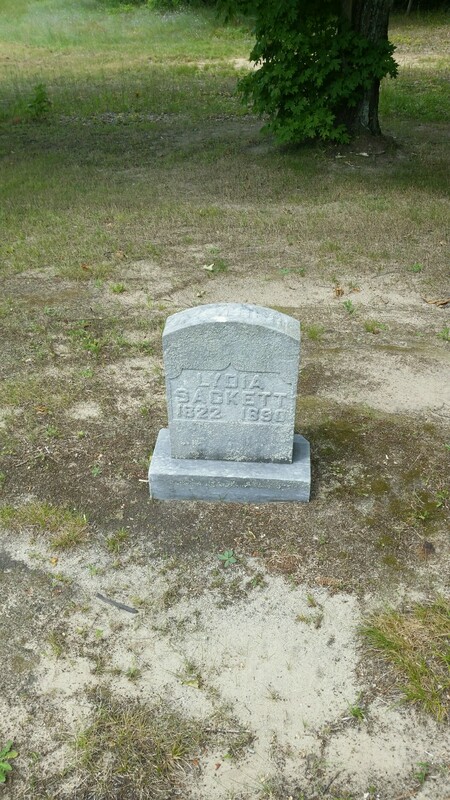 [S543] Find A Grave (www.findagrave.com), Memorial# 29781699; headstone picture (Reliability: 3).